Initially research work on the modern magnetism around 1928, the State Key Laboratory Magnetism (SKLM) was found in 1990, aimed at promoting fundamental and applied research for magnetism and magnetic materials in China. In years of 1995 and 2000, SKLM was evaluated as very good by the Ministry of Science and Technology (MOST), China. The director of SKLM is Prof. Zhao-hua Cheng. Currently, the research fields and activities were included spintronics, nanostructured magnetism, structure and magnetic properties of rare-earth intermetallic compounds, microstructure, domain structure of nanocrstalline magnetic materials, magnetic single crystal, neutron diffraction, hyperfine interaction of magnetic materials and magnetism theory. SKLM possesses a lot of advanced experimental facilities for magnetic materials preparation, magnetization measurements and structural analysis, such as SQUID susceptometer, magnetron-sputtering system, Mössbauer spectrometers, neutron diffractometer, x-ray diffractometer, atomic force/magnetic force microscopes (AFM/MFM). New Advanced experimental facilities, such as MBE, laser MBE, variable temperature SPM in UHV, Optical Floating Zone single crystal growth furnace, PPMS from Quantum Design, high magnetic field Mossbauer spectrometer etc. will setup in one year. In past five years, we have performed a lot of excellent work in the field of rare earth-transition metal intermetallic compounds, GMR, TMR and CMR. The members of SKLM won about 10 major scientific achievements, published more than 500 scientific papers in International Journals, wrote 2 books and applied for 9 patens. SKLM has formed long-term and extensive cooperative relationships with institutions in USA, Europe and Japan and trained a lot of excellent scientists and engineers in the magnetism. At present, there are 30 research and technical staffs, including 1 Member of the Chinese Academy Sciences, 11 full professors, 11 associated professors and 8 technical staffs in this laboratory. Among them, 1 professor was awarded QiuShi Prize of Hong Kong; 3 professors were owners of National Science Fund for Distinguished Young Scholars; 5 scientists were granted by the Hundred Talents Programs of the Chinese Academy of Sciences. Furthermore, about 40 visiting scientists, postdocts and graduate students always work and study in this Laboratory. During the Tenth-Five Year Plan period (2001-2006), SKLM will take charge 1 State Key Project for Fundamental Research (973 Project), 1 State Key Project for High-Tech Research (863 Project), 1 Key Project of National Sciences Foundation, and 1 Major Knowledge Innovation Project of Chinese Academy of Sciences. 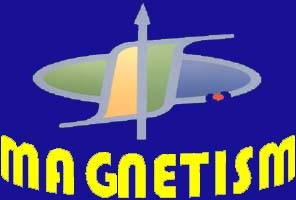 Our research activities will emphasize in the fields of spintronics, nanostructured magnetism, fundamental research of novel rare-earth magnetic materials and the relationship between microscopic magnetic properties and macroscopic ones to meet the national strategy goals and the frontier of magnetism and magnetic materials development.